The 2019 SportsStuff Siesta Lounge is the water lounge of choice! 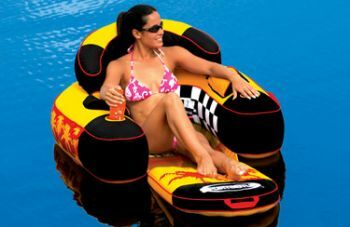 river or ocean as a water float, a floating lounge, or a water lounge. Whatever you want to call it The Siesta Lounge can handle the relaxation. one take a look at the SportsStuff Fiesta Island.